Monday March 3nd: LIVE from Times Square! Join Us! To learn of the unlikely possibility of last minute developments tending to delay or cancel the event please call John Frederick at (212) 595-2599 or (917) 685-7529 . 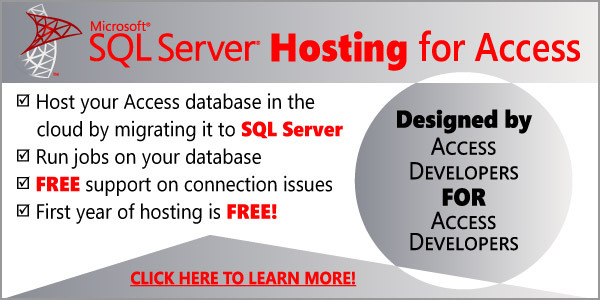 Hi Juan, is a recording/transcript of your presentation “Building Access Dashboards with SQL Server” at the Connecticut Access Users Group last Thursday February 27th at 6 PM available?